Super colors for spring! This tila bead bracelet is made with 6mm square beads in teal, light blue and gray and is perfectly matched with gray leather cord and offset with white nylon thread. 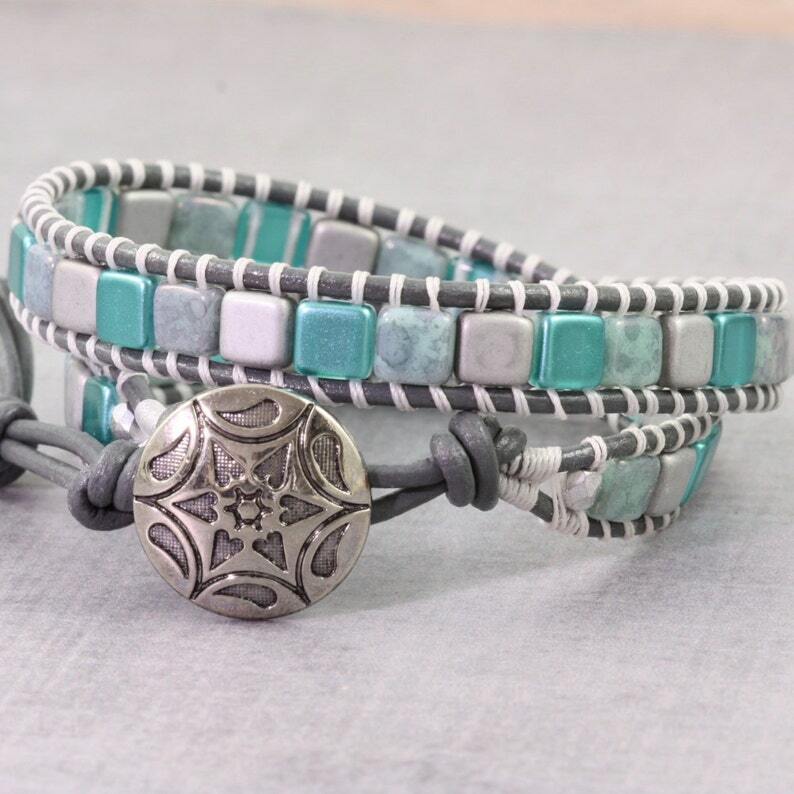 A western style silver button completes this fantastic and versatile look. Beautiful bracelet. Shipped fast. I love it!